Humans are carbon-based beings. And we are NOT suffering from overpopulation. We can shut down wars of choice and reinvest those funds in infrastructure, alternative energy, education, health care, housing and peace. We have solutions. We need not go back to living in caves to survive. 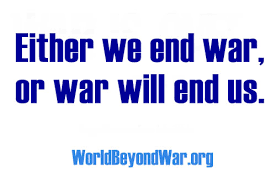 We have viable solutions, but crazy people spend trillions on war… making sustainable alternatives impossible. I can ride my bicycle down to the creek and go fishing, get in my electric truck and drive across the nation, sail a ship across the ocean and fly a solar-powered plane anywhere on the planet. Investing in alternative energy, we can establish moon colonies and explore the stars. We are young, we humans beings… and it’s too early to write us off. Technology is not the problem. War, greed and stupidity are the problems. We can shut down the wars and hold the cons accountable by organizing, educating and agitating. This has been working across human history. “In fact, our rates of growth are declining. Between 1950 and 2000, the world population grew at a rate of 1.76%. Between 2000 and 2050, it is expected to grow by 0.77 percent. So yes, because 0.77 is greater than zero, it is a positive growth rate, and the world population will continue to grow. “There is no environmental reason for people to go hungry now or in the future. There is no need to use any more land to sustain humanity — increasing land productivity using existing technologies can boost global supplies and even leave more land for nature — a goal that is both more popular and more possible than ever.